With most of the country in some drought , it’s easy to see the obvious side effects: dead lawns, suffering crops, increasing bans on fire and water usage. Results are a little harder to see like how drought affects your chimney. 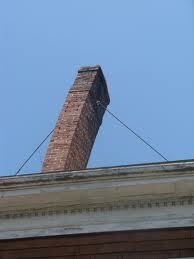 Dry conditions can have as negative impact on your chimney as on your lawn. Why? As dry dirt starts to pull away from the foundation of your chimney, it starts to lean – which can lead to some costly repairs. 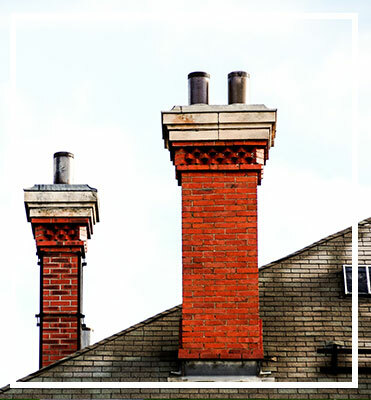 If your chimney leans three inches or more from its usual position, you’ll need to call in a professional to have it put back in place. Worst case scenario: If your chimney is starting to crack, bow out or show structural failure, it may need to be completely reconstructed. So how can you prevent such damage? It’s not as if you can “water” your chimney, can you? Actually, that’s exactly what you should do. To prevent chimney leaning or further destruction, 1st Choice Chimney recommends you should thoroughly water the foundation every few days during a drought to keep the dirt moistly packed against the foundation. If your chimney has already started to lean, act quickly: Contact 1st Choice Chimney, a CSIA Certified Chimney Sweep in your area that inspects and repairs this issue.